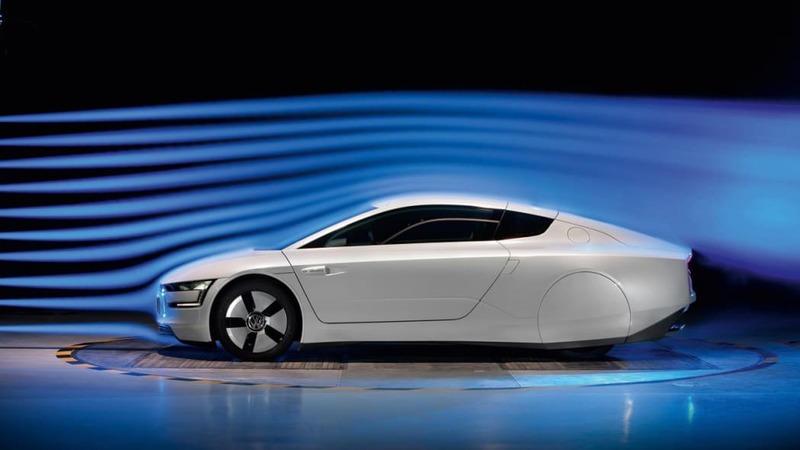 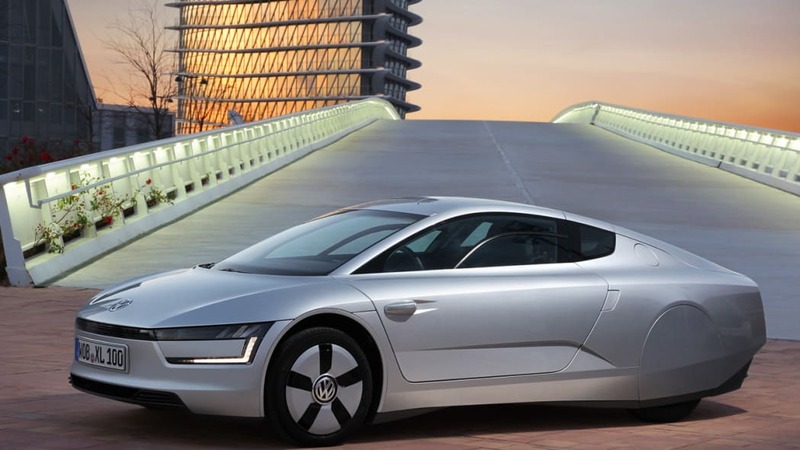 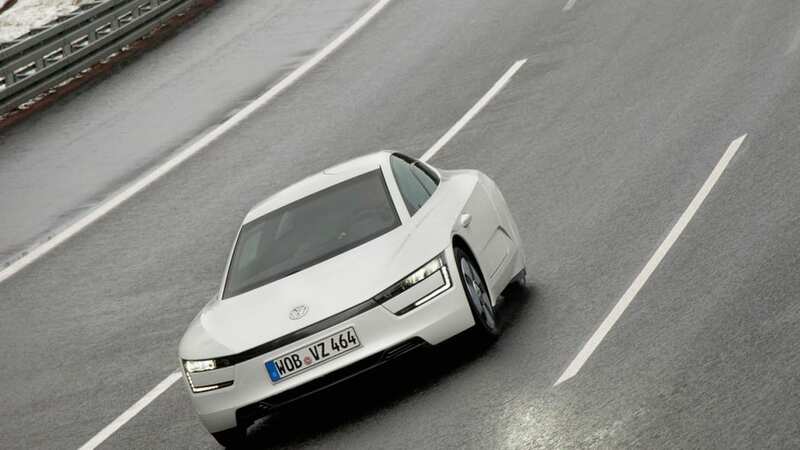 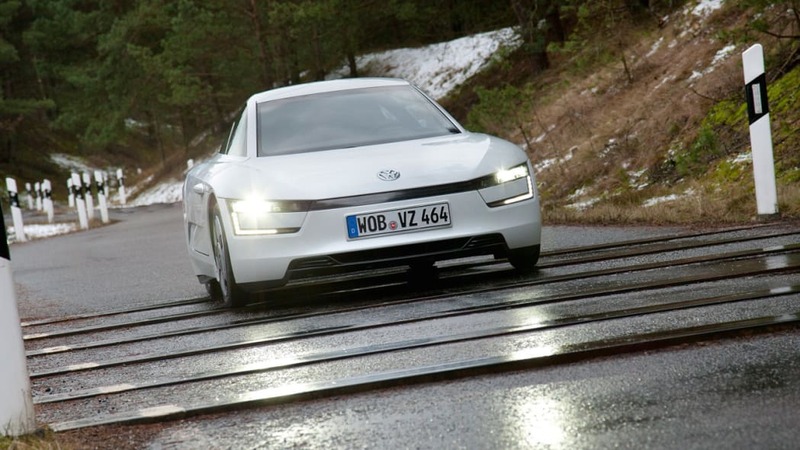 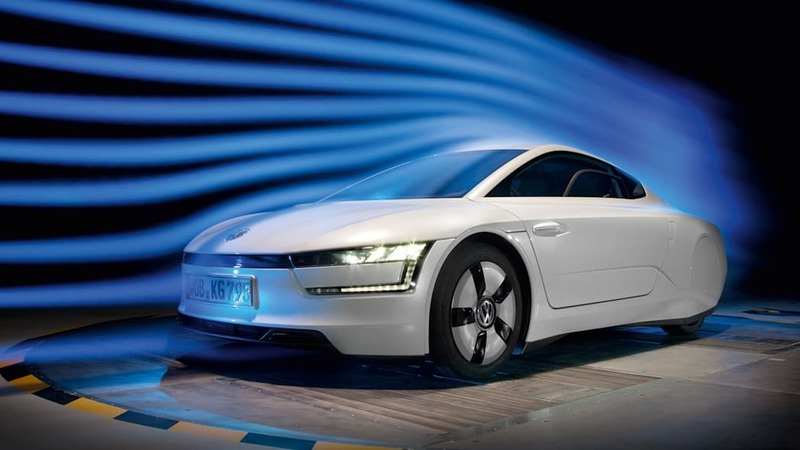 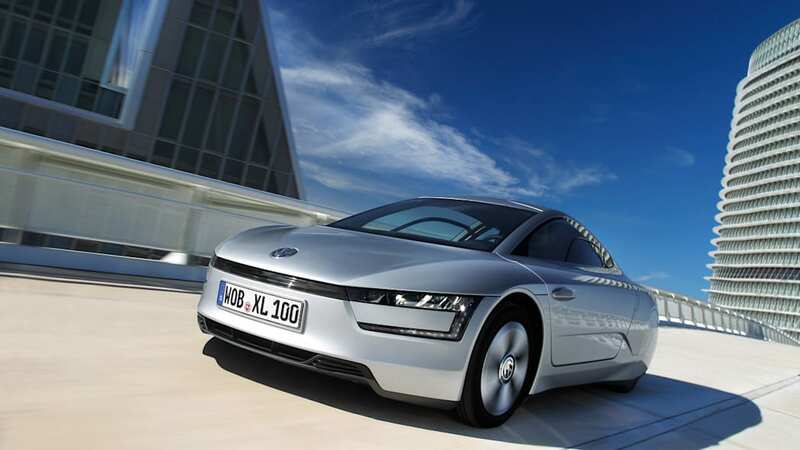 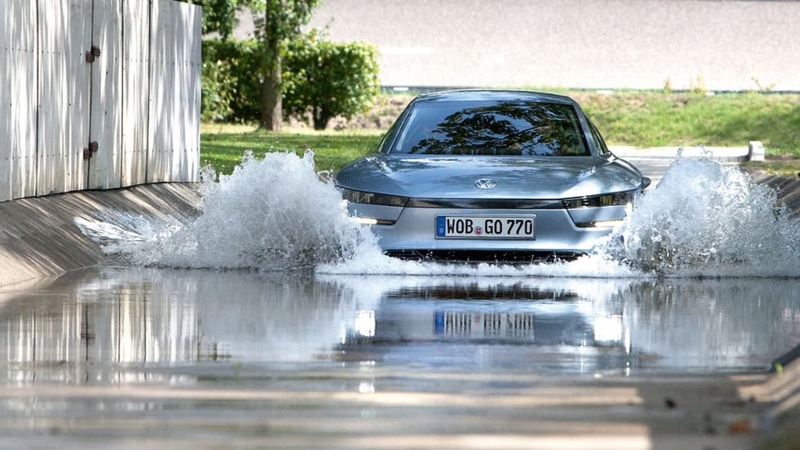 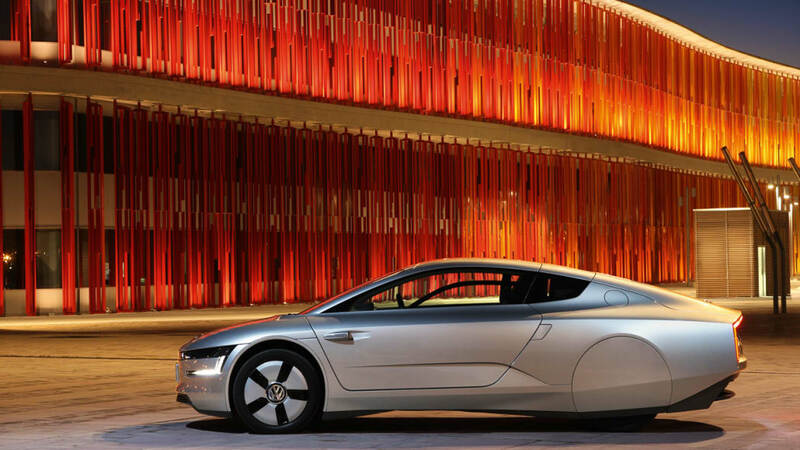 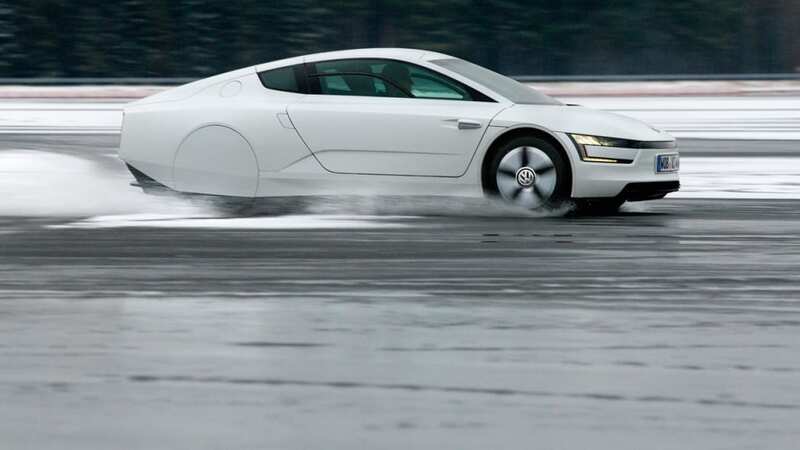 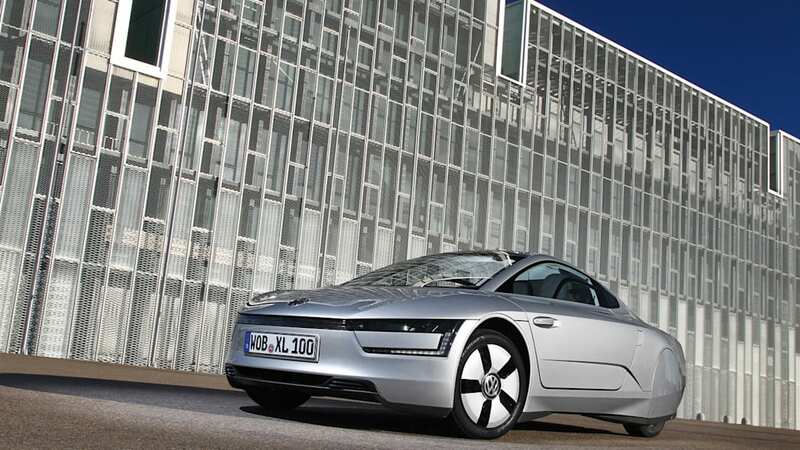 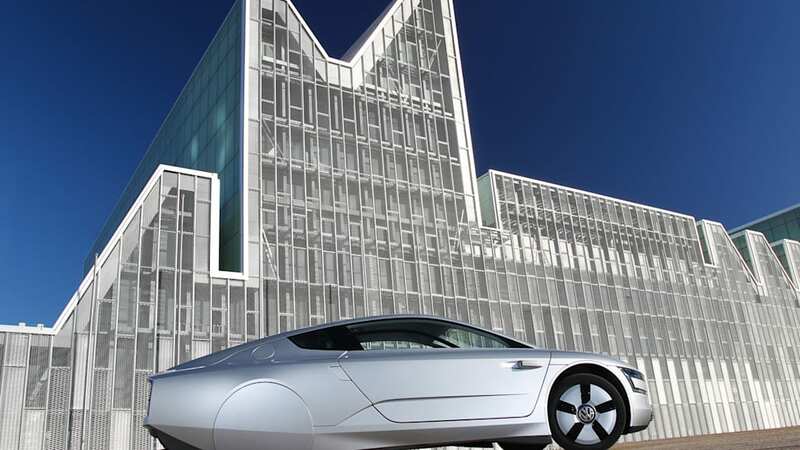 After years of rumors, development and testing, the Volkswagen XL1 is finally about to become a reality. 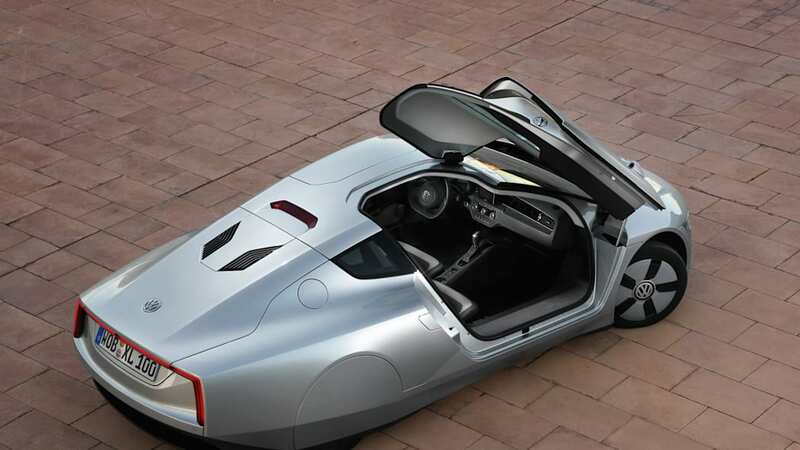 The project that began life as a daring 1-Liter concept car in 2002, will finally get its production-ready curtain call at the Geneva Motor Show in just a few weeks. 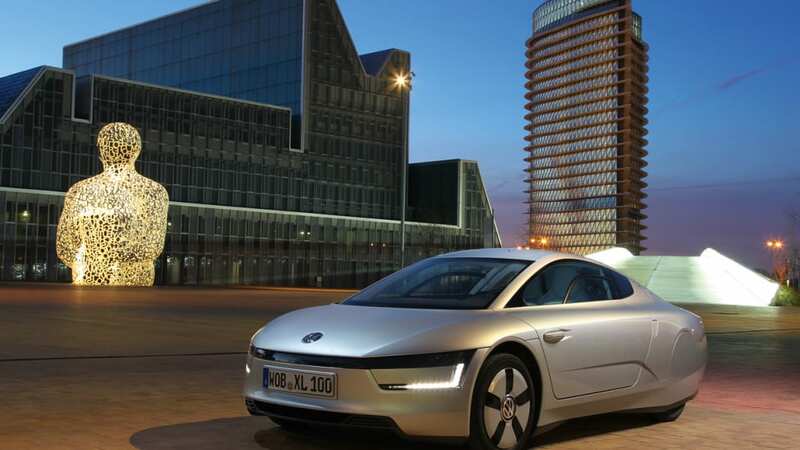 As soon as it hits the streets, the two-seat XL1 will instantly become the most fuel-efficient and most aerodynamic production car in the world. 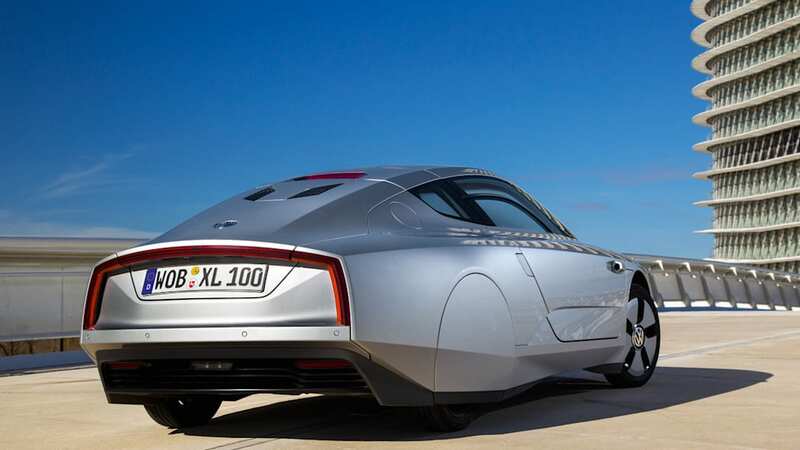 The car uses a plug-in hybrid system to achieve mind-blowing consumption of just 0.9 liters of diesel fuel consumed every 100 kilometers (and average of roughly 261 miles per gallon). 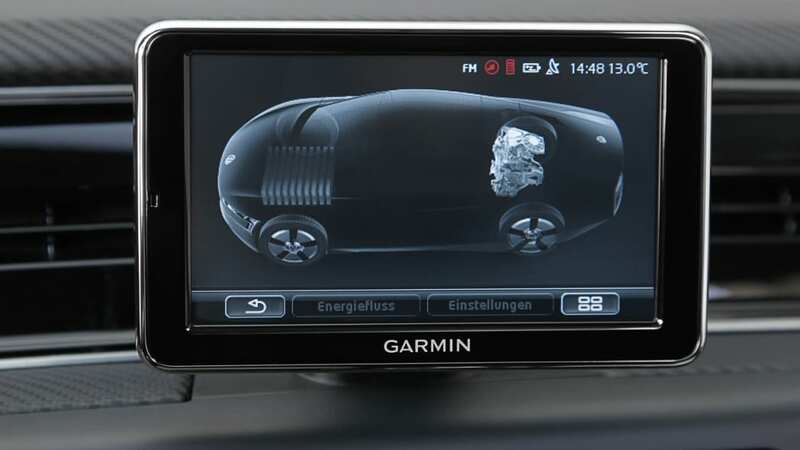 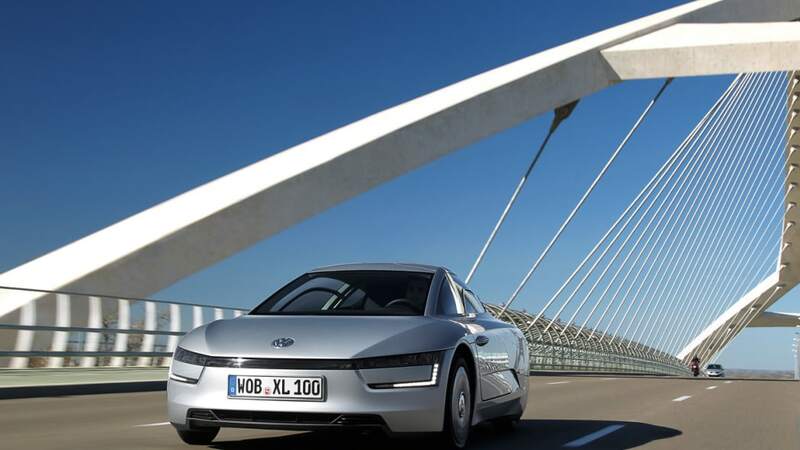 Plus, the XL1 can go up to 50 kilometers on its battery power alone. 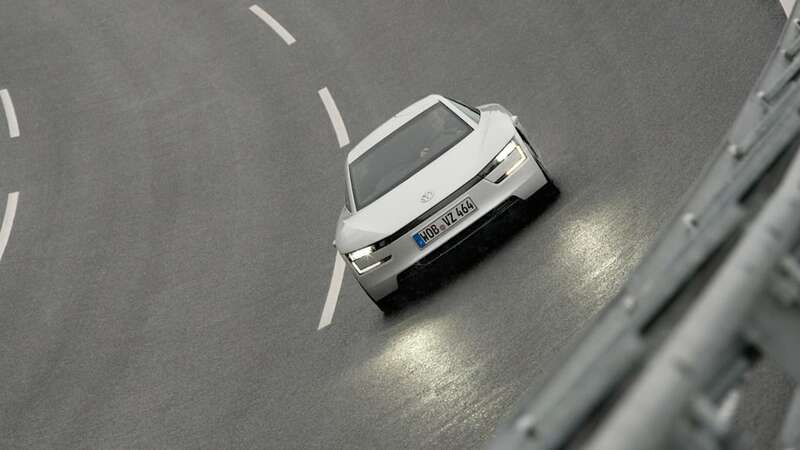 Coefficient of drag is a miniscule 0.189, thanks to a tiny frontal area and an obviously slippery shape. 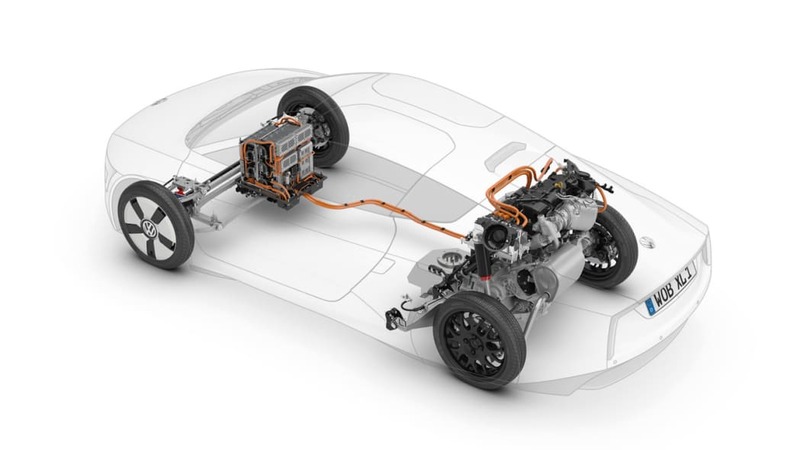 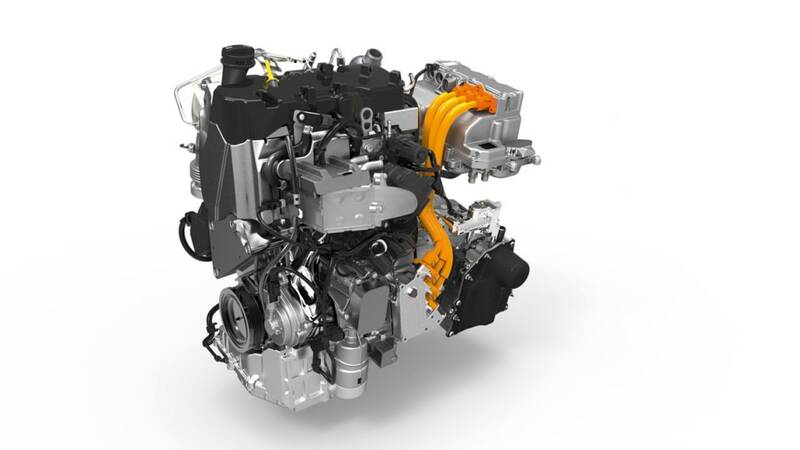 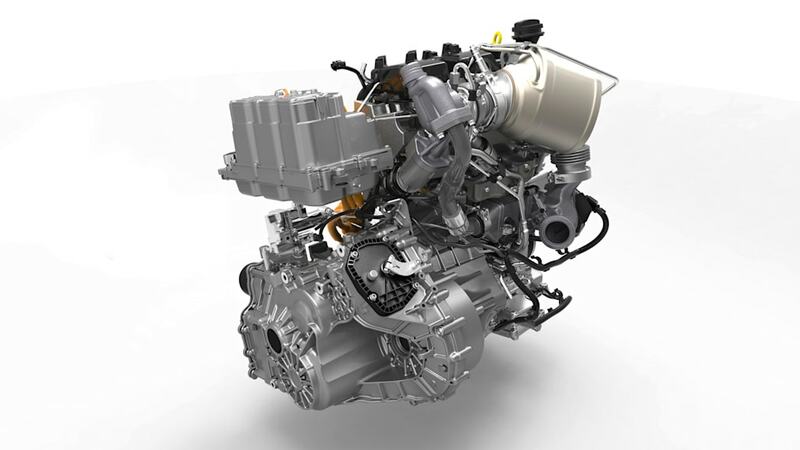 XL1 power comes from a 47-horsepower, two-cylinder diesel motor connected to a seven-speed dual-clutch gearbox, while the 20 kW (27 hp) electric motor is fed by a lithium-ion battery. 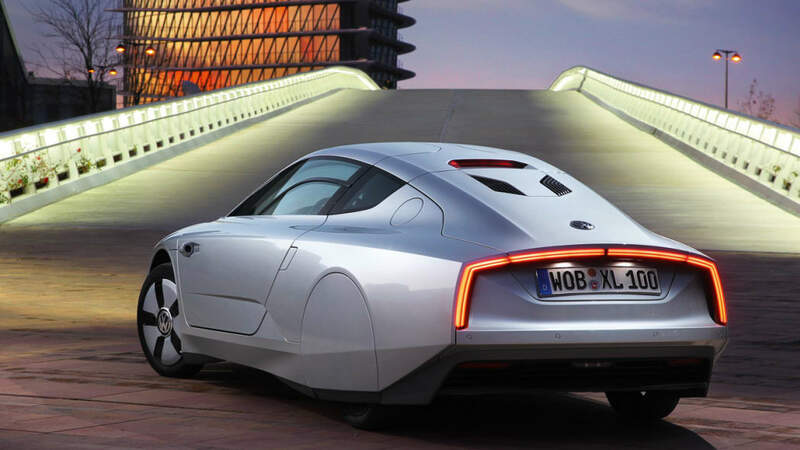 Both combine to give the XL1 performance figures that are, while not stirring, not shabby considering its extreme frugality: 0-62 miles per hour comes up in 12.7 seconds and top speed is nearly 100 mph. 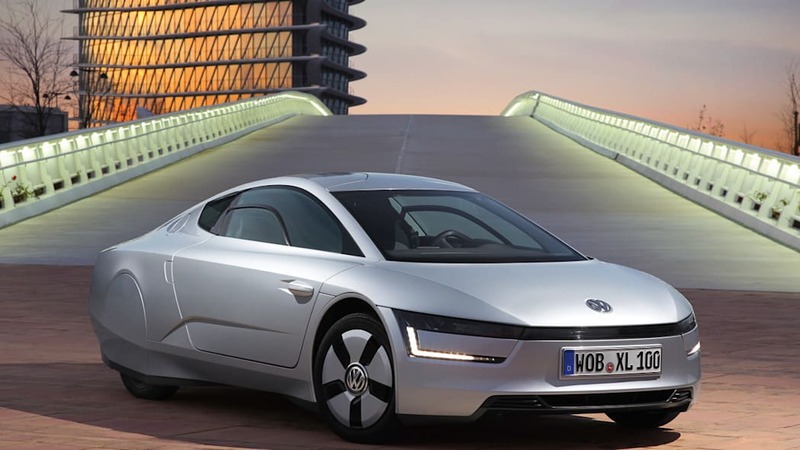 There's still no word as to how many examples of the XL1 Volkswagen plans to build, nor how much the company intends to charge for each. 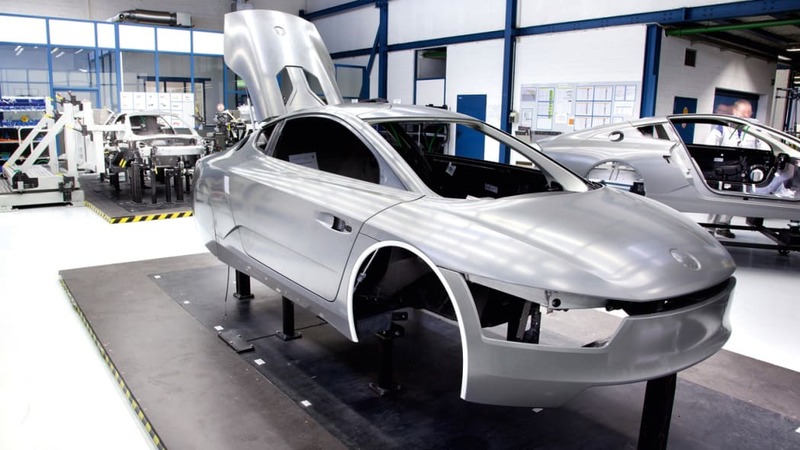 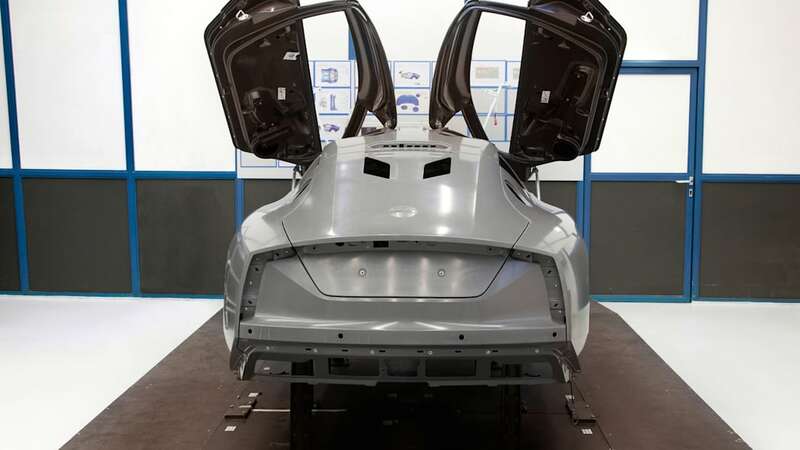 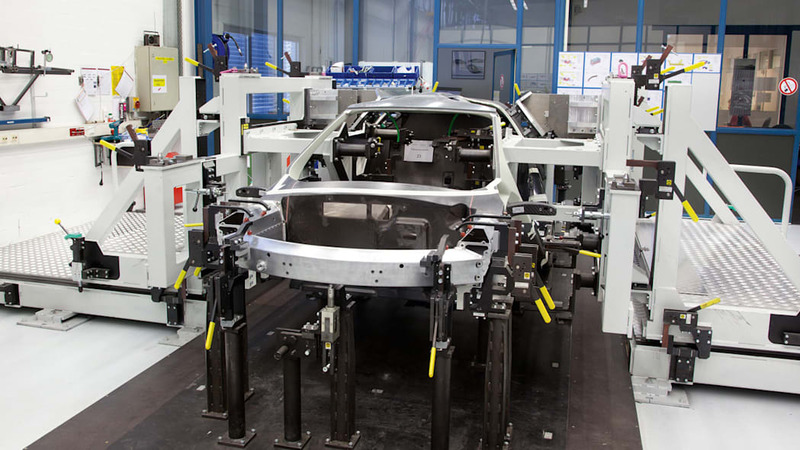 The press release does mention that the car will be constructed using "handcrafting-like production methods" though, so we're guessing that it won't be cheap or ubiquitous – not by a long shot. 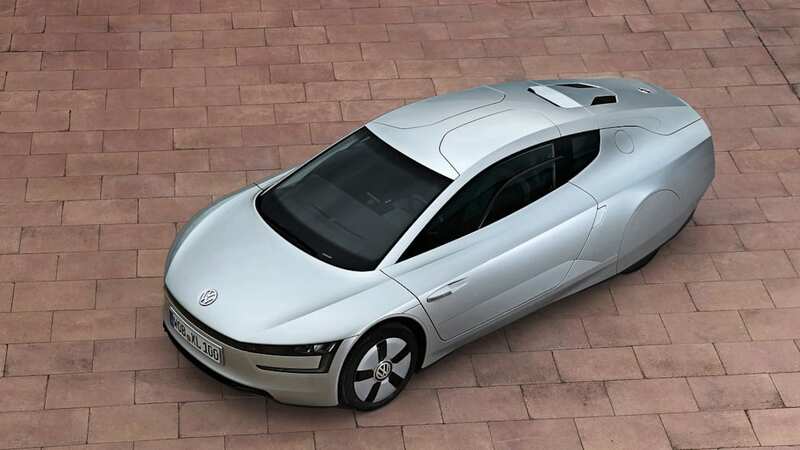 Early rumors had a six-figure price tag attached, suggesting the XL1 be viewed as more of a green halo supercar for VW than a volume proposition. 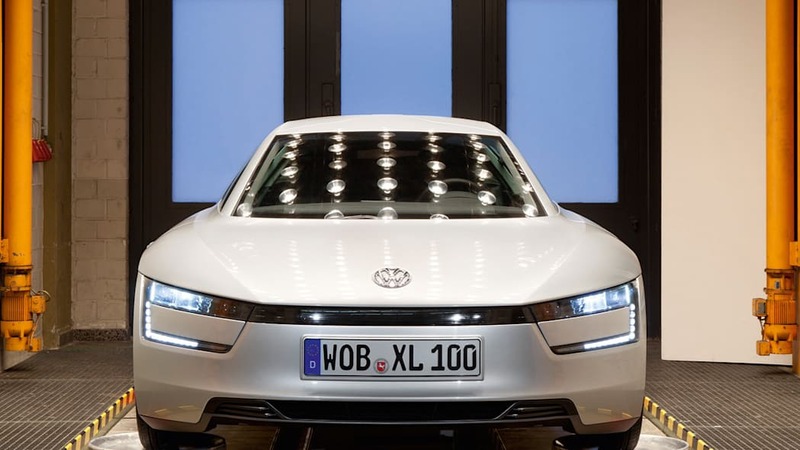 Scroll down to read a bit more about the Volkswagen XL1 in the attached press release and be sure to check back for our Geneva coverage of the car. 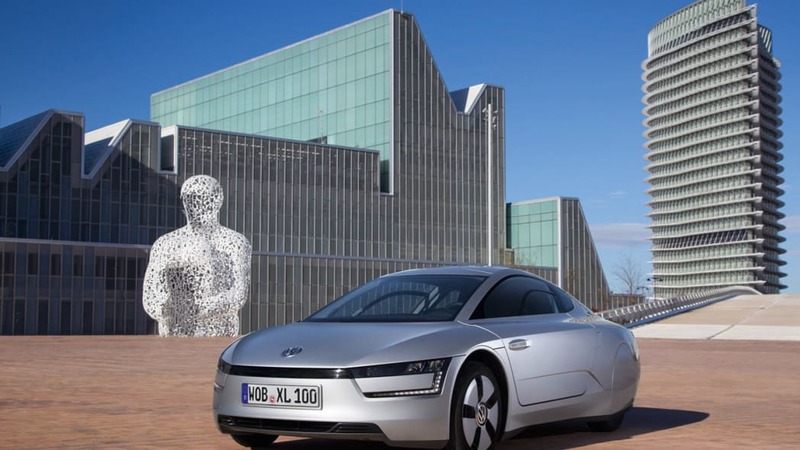 Wolfsburg, 21 February 2013 - The XL1 from Volkswagen is the most fuel-efficient production car in the world, with a fuel consumption value of 0.9 l/100 km. 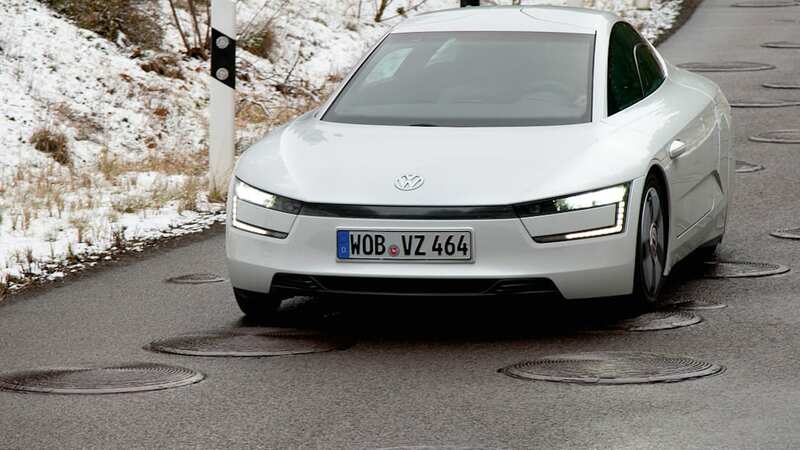 Thanks to its plug-in hybrid system, the two-seater can also cover a distance of up to 50 km in all-electric mode and therefore with zero local emissions. 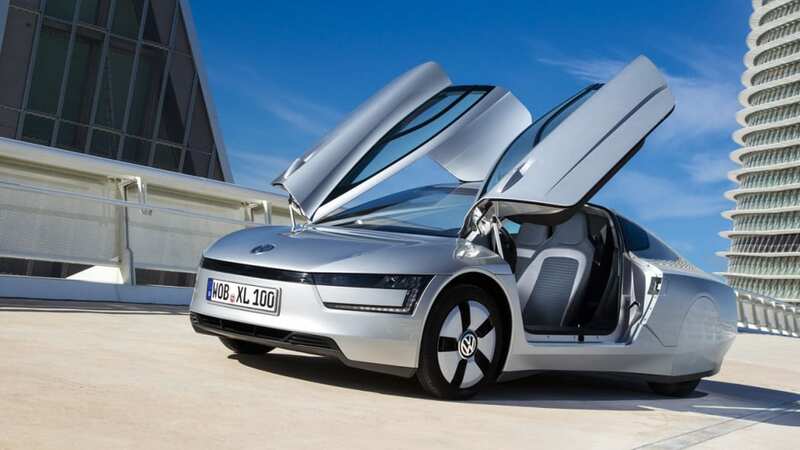 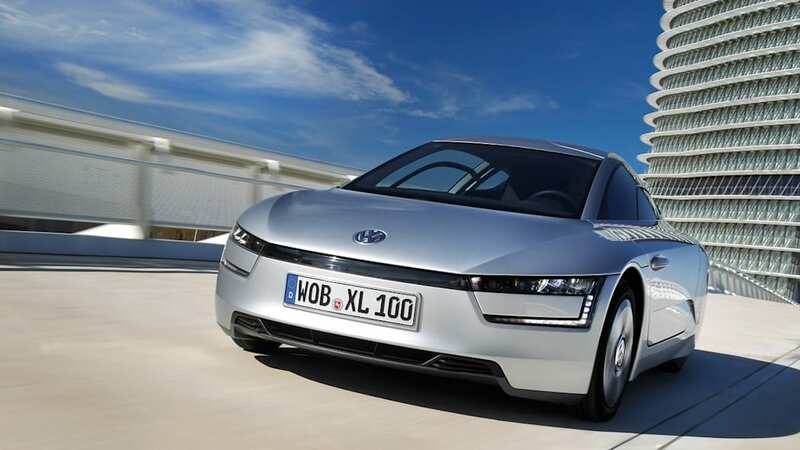 Conceptually, the XL1 represents the third evolutionary stage of Volkswagen's 1-litre car strategy. 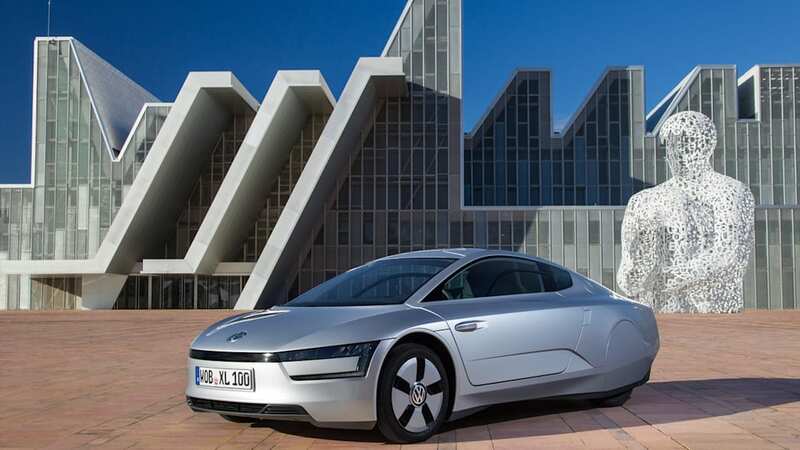 When the new millennium was ushered in, Prof. Dr. Ferdinand Piëch, who is today Chairman of the Supervisory Board of Volkswagen AG, formulated the visionary goal of bringing to market a production car that was practical in everyday use with fuel consumption of one litre per 100 km. 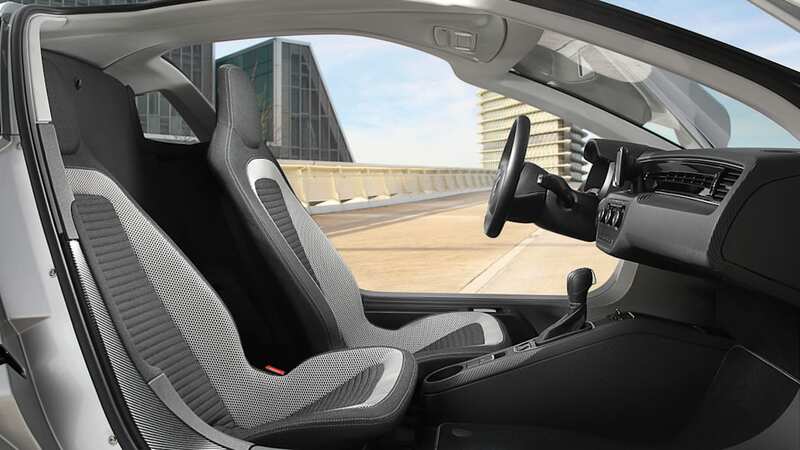 In the two-seat XL1, this vision has become reality. 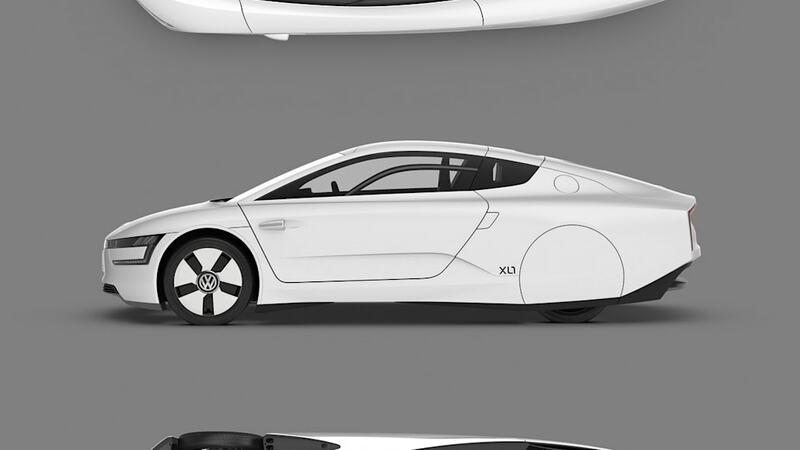 Despite the tremendous efficiency of the XL1, developers successfully came up with a body concept, which delivers more everyday utility than in the two previous prototypes. 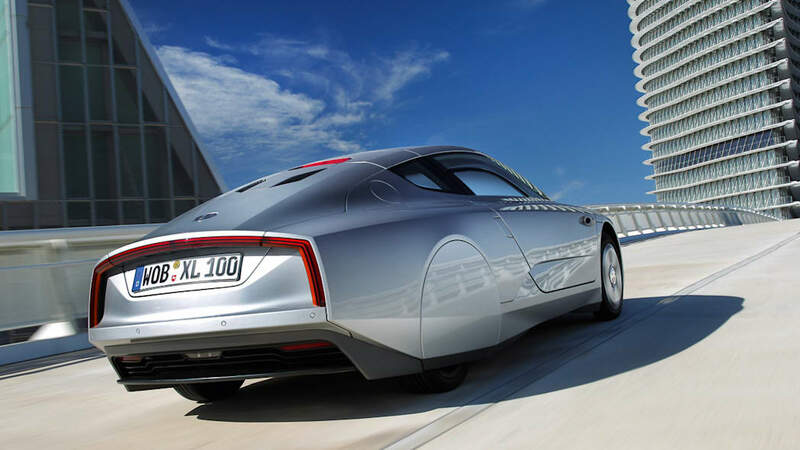 While the driver and passenger sat in a tandem arrangement for optimal aerodynamics in the L1, the 1-litre car presented in 2002 and in 2009, in the XL1 two occupants sit slightly offset, side by side, nearly as in a conventional vehicle. 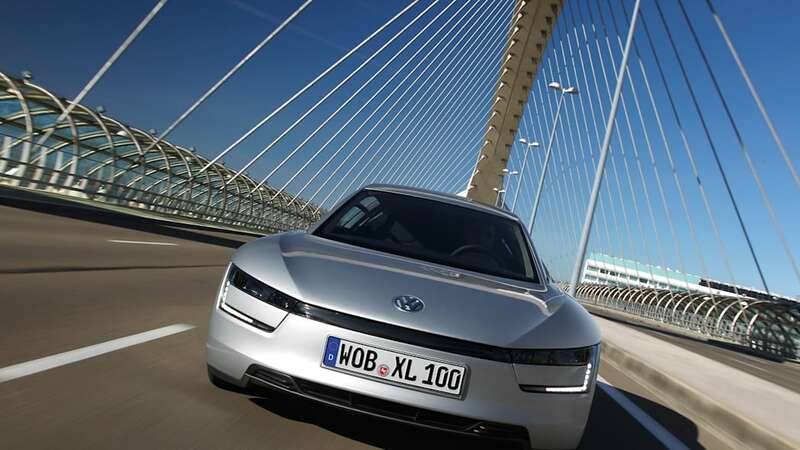 The XL1 is 3,888 mm long, 1,665 mm wide and just 1,153 mm tall. 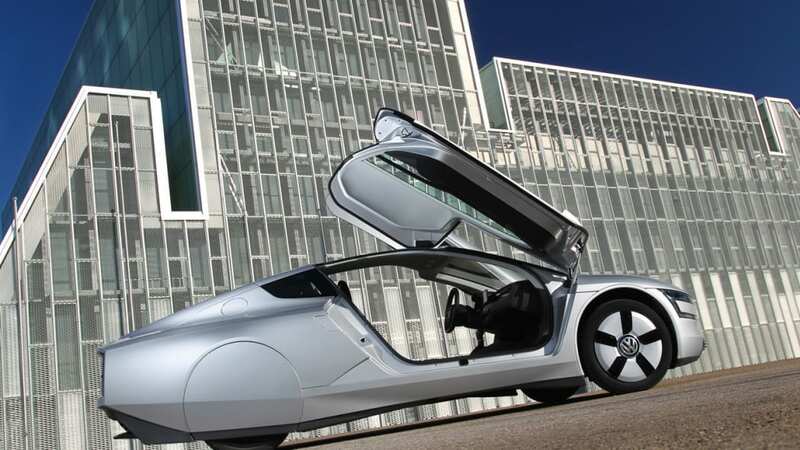 By usual automotive standards these are extreme dimensions. 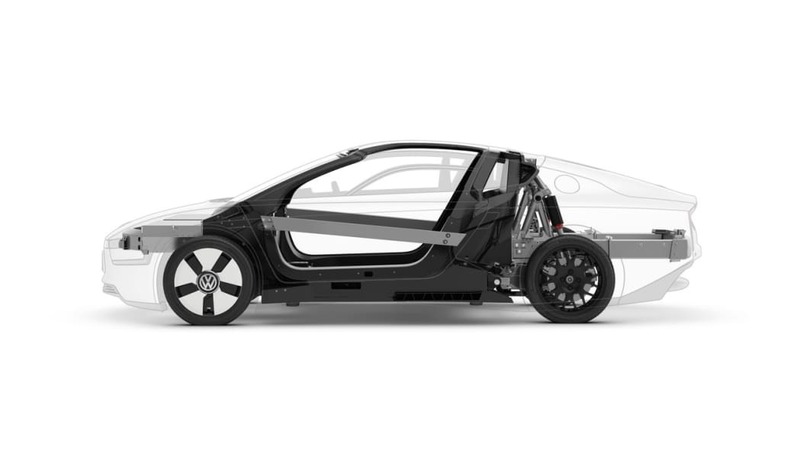 For comparison: a Polo has a similar length (3,970 mm) and width (1,682 mm) but is significantly taller (1,462 mm). 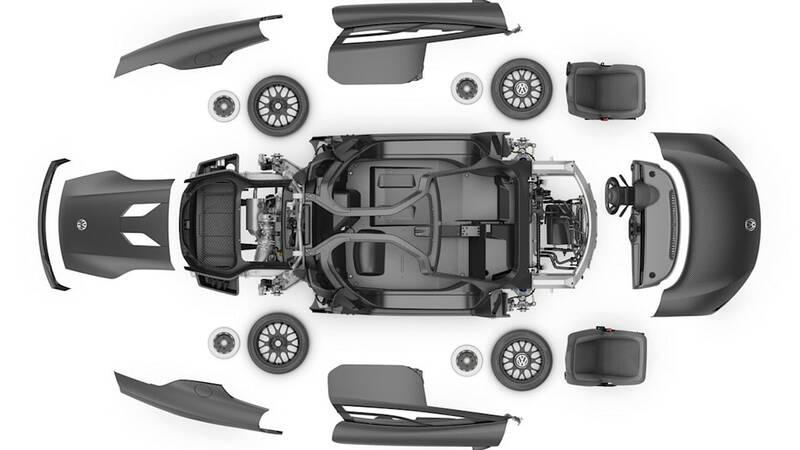 Even a purebred sports car like today's Porsche Boxster is 129 mm taller (1,282 mm). 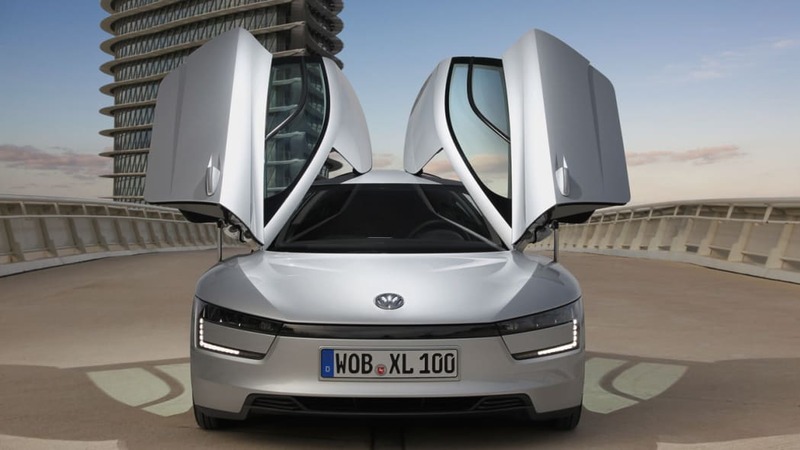 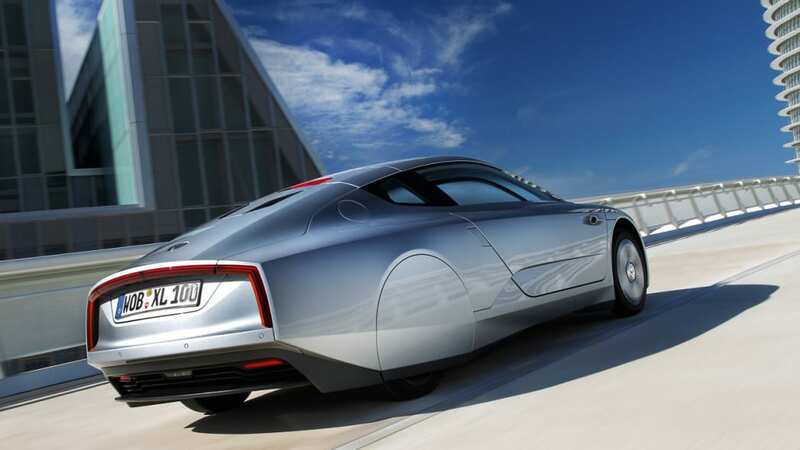 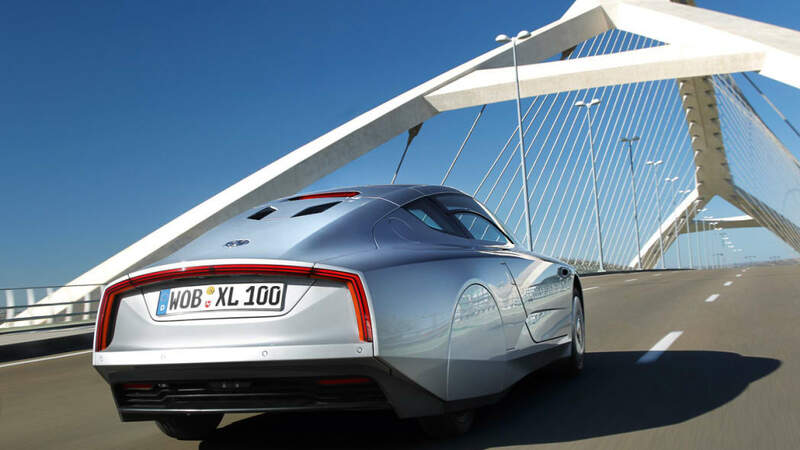 So, the XL1 will make a spectacular appearance – a car of the future, built for today.